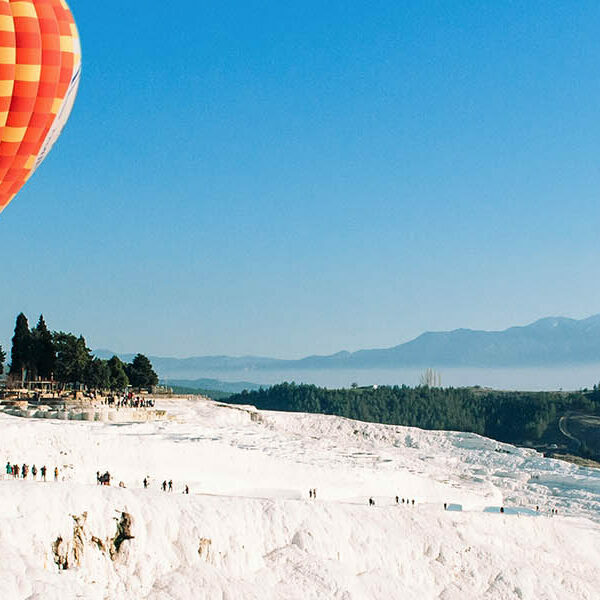 You will be picked up from your hotel and transferred to Pamukkale and begin our journey inland to the natural wonder of Pamukkale that contains natural hot springs, sacred spas, and a sacred pool. 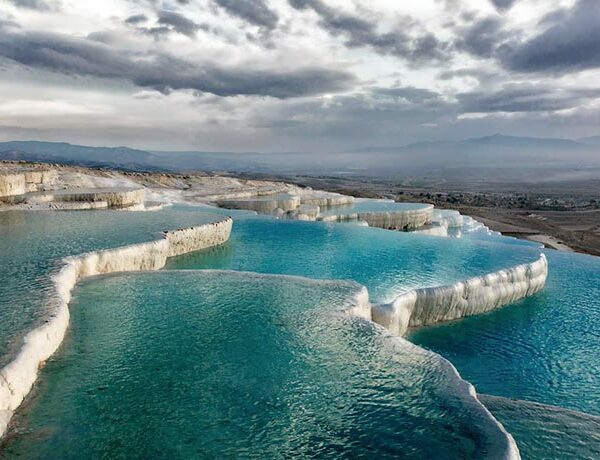 Pamukkale is known for the spectacular travertines that are terraces of carbonate minerals left by the flowing water. Pamukkale means “Cotton Castle”, which is a most fitting name because the brilliant white calcified terraces do truly resemble a castle made of cotton. 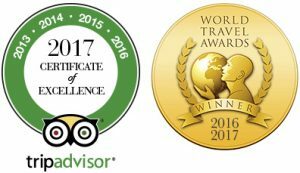 Your next visit is to Hierapolis, whose ruins currently comprise an archaeological museum designated as a UNESCO World Heritage Site. Hierapolis, which was founded as a thermal spa in the early 2nd century BC, has one of the largest and most diverse necropolis in the world filled with sarcophagi, including the famous sarcophagus of Marcus Aurelius’ Ammianus, which bears the earliest known example of a crank and rod mechanism. After the tour, you will be transferred to your hotel. 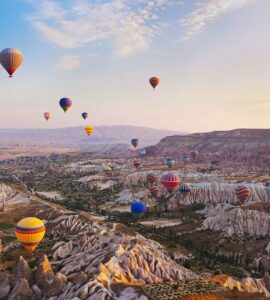 You will be picked up from your hotel and transferred to Pamukkale and begin our journey inland to the natural wonder of Pamukkale that contains natural hot springs, sacred spas, and a sacred pool. Pamukkale is known for the spectacular travertines that are terraces of carbonate minerals left by the flowing water. Pamukkale means u0022Cotton Castleu0022, which is a most fitting name because the brilliant white calcified terraces do truly resemble a castle made of cotton.rnrnYour next visit is to Hierapolis, whose ruins currently comprise an archaeological museum designated as a UNESCO World Heritage Site. Hierapolis, which was founded as a thermal spa in the early 2nd century BC, has one of the largest and most diverse necropolis in the world filled with sarcophagi, including the famous sarcophagus of Marcus Aurelius’ Ammianus, which bears the earliest known example of a crank and rod mechanism.rnAfter the tour, you will be transferred to your hotel.